Take your operations further with the Renold ANSI Roller Chain. Domestic, agricultural and industrial machinery commonly use an ANSI roller chain for transmission of mechanical power. One of the most noteworthy applications that people recognize is the chain on a bicycle. 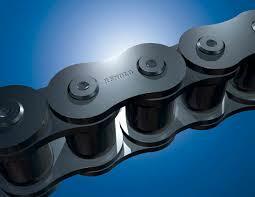 Roller chains are also used on conveyors, cars, motorcycles, printing presses and much other machinery. Renold has been manufacturing quality components that exceed ANSI (American National Standards Institute) standards for over 100 years now. Ever since their first chain in 1878, Renold has been advancing chain technology. Renold offers top grade factory lubrication, accurate press fits, and super-straight bushings. As a result, the time needed to break in a new chain is greatly reduced. For those who are looking for a hardworking chain, Intella now offers a select few of these Renolds chains online. All chains come 10 feet in length and there are various dimensions to choose from. We offer a Chinese manufactured roller chain for an economic option. 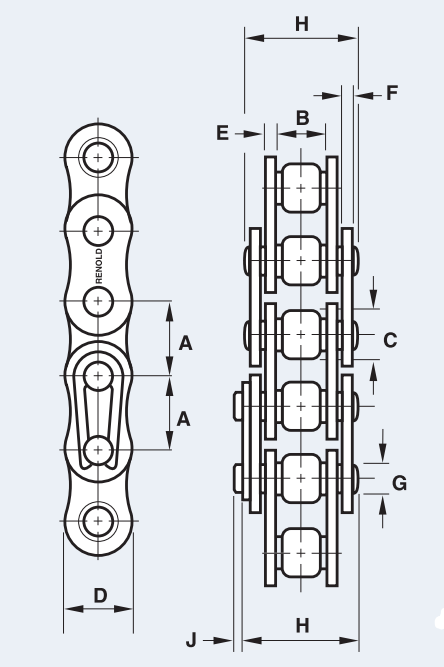 Also offered is a German manufactured roller chain for top of the line quality and reliability. 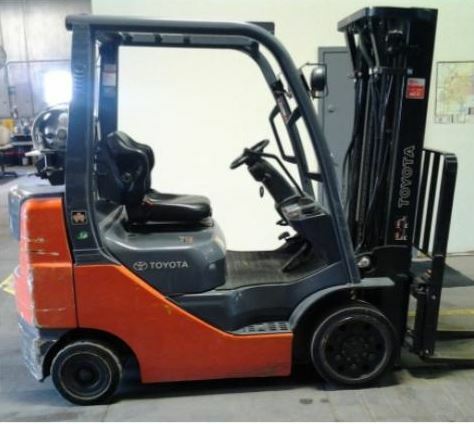 Need forklift parts? With thousands of parts in stock, quick shipping and great customer service, Intella Liftparts can help. You can also check out our YouTube channel here for how-to videos, product overviews, and other great clips. 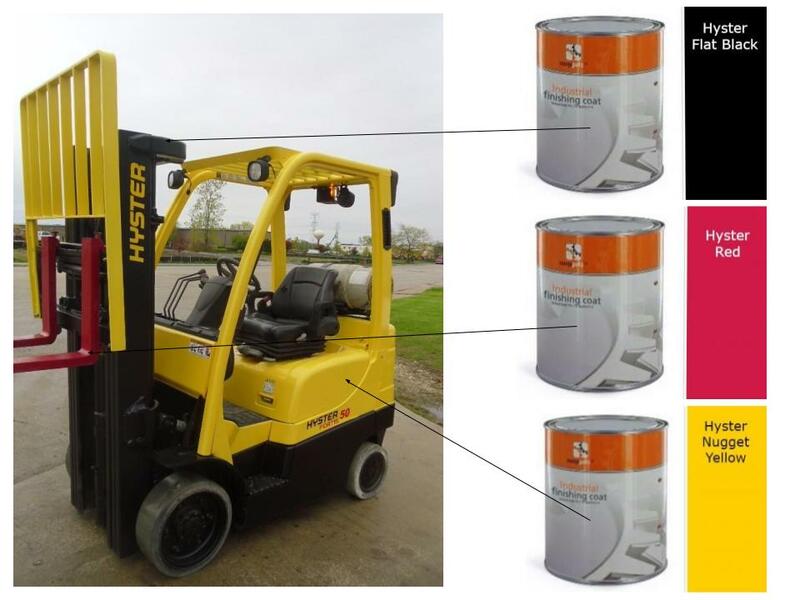 Our ‘Keep Out’ Red Zone Light does exactly that– keeps pedestrians away from your forklifts! There are nearly 19,000 forklift related accidents per year involving pedestrians in the USA alone. Help reduce this number with the Keep Out Zone Light to warn pedestrians of forklifts in the area. The light is easily installed on the side of the forklift. 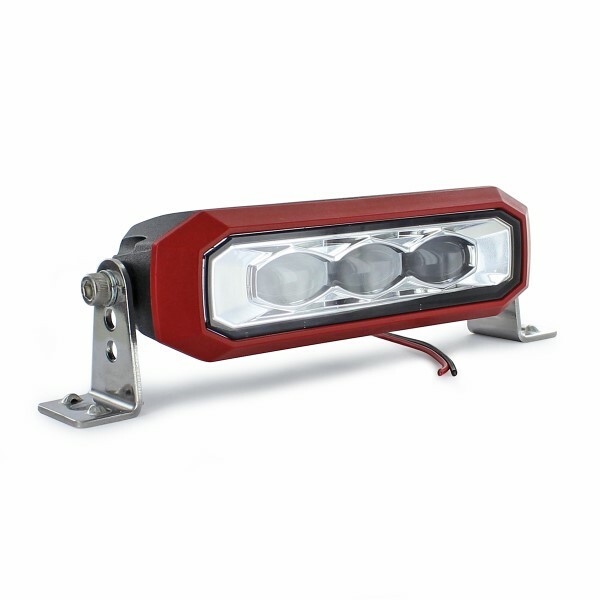 When mounted, the product projects a large, red beam of light onto the ground to warn pedestrians in the work area that a forklift is near. The red beam of light projected on the ground is referred to as the ‘keep out zone’ and is not to be entered while the forklift is in operation. 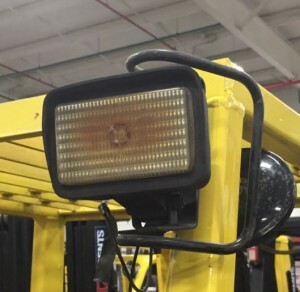 When used in conjunction with the Blue Spot Forklift Light, which is mounted on the back of the forklift, pedestrians can have complete awareness of forklift traffic. 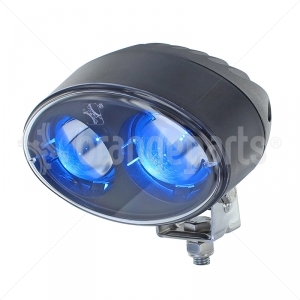 The Blue Spot Forklift Light warns pedestrians around the corner or down the aisle that traffic is coming. 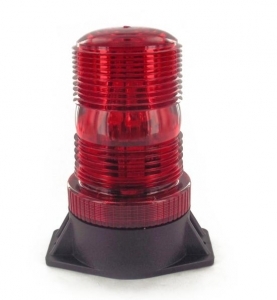 The Keep Out Zone Light helps pedestrians keep a safe distance away from the forklift at all times. 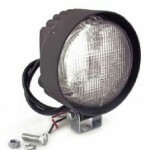 The Keep Out Zone Light is similar to the Speaker Model 527 (part no. 0549271). 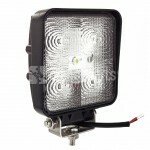 Intella also has an online accessory catalog full of LED work lights suitable for forklifts. You can download that pdf file here. My forklift battery smells a lot like rotten eggs – Why? coming from your forklift battery is not a good thing. The unpleasant smell resembling that of expired eggs is actually sulfur. 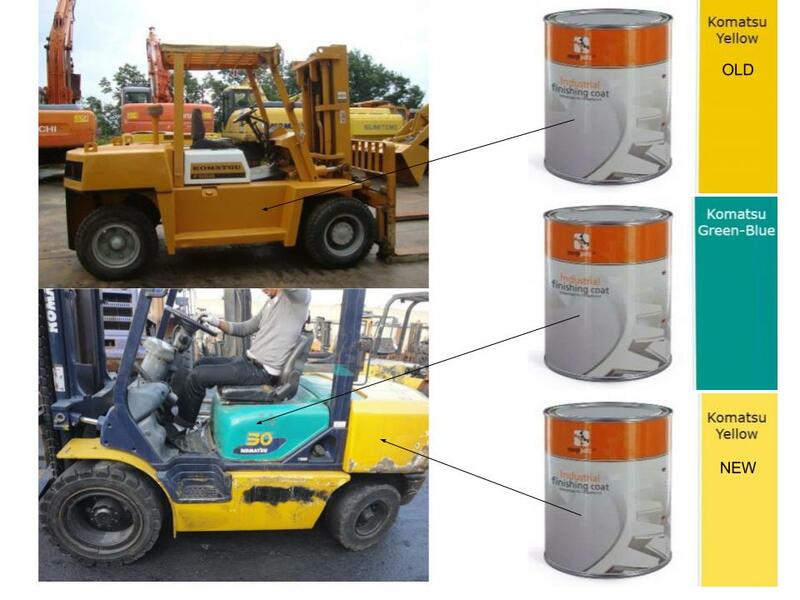 Forklift batteries are made from lead plates that are covered in a lead oxide paste. This then sits in a pool of sulfuric acid. Almost every vehicular battery, regardless of the application, will at some point get a bad cell. When one of these battery cells stop taking a charge, the battery charger will throw everything it’s got at it to try and bring up the voltage. This causes the cell to get very hot and will boil the sulfuric acid stored inside the battery. When sulfuric acid gets cooked, you’re left with the rotten egg smell. Now if you’ve got an internal combustion forklift, the alternator could be overcharging your battery also resulting in the funky smell. So now I know why it smells, but what do I do now? First thing’s first: Turn that charger off and let the battery cool down. No one likes boiling sulfuric acid. For safety reasons, place a tag on the battery to make sure no one uses it. Get in contact with a professional to check out your battery and charger. Have the professional replace the bad cell. If you can’t replace the cell, replace the battery. Following the replacement of the battery or the battery cell, check to see if your charger is working properly. No one wants to buy a new battery only to have it ruined by a bad battery charger. What caused my battery to fail? Assuming that it wasn’t your battery charger that was the problem, there are a few things that may have caused your battery to fail. Water – If the water that you add to the battery is full of dissolved minerals, the minerals can accumulate making it rather difficult for the battery to take a charge. This can cause the cell to overheat. 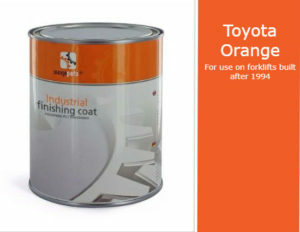 Warehouse Floor – Working on an uneven floor can jar the forklift battery, knocking the oxide paste off of the plates causing them to short out. Manufacturer’s Defect – Every now and then a battery may flat out under-perform. This can be due to a defect in the battery. Check with the manufacturer of the battery in regards to warranty information as many times they will be covered for a certain number of years. Thinking your forklift battery charger is the problem? The Impco Model J Regulator is a fantastic product, but like all machine parts, get worn out and need care. This blog page is dedicated to repairing and/or replacing your regulator. Impco is a manufacturer of fuel system components that has been around since 1958. Impco works with fuel system components for alternative fuels like LPG/propane gas that allow for a cleaner environment. 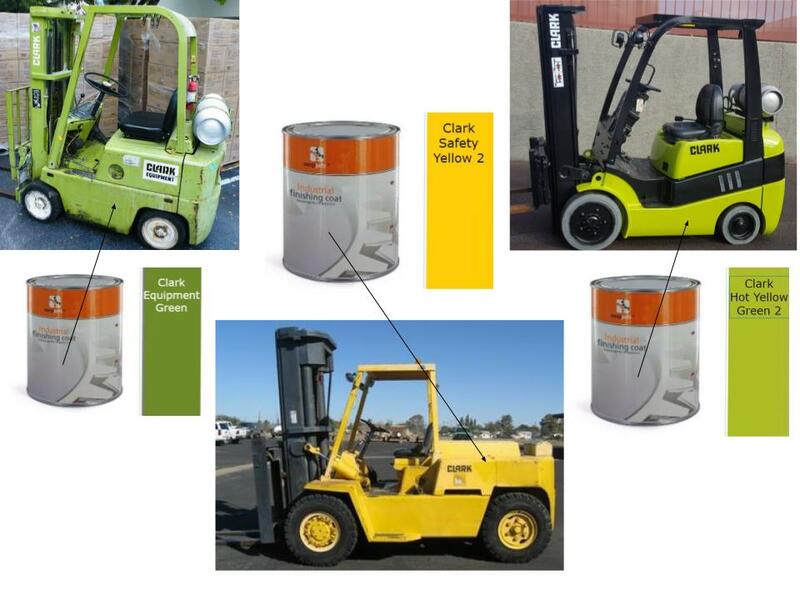 You can find Impco parts in a variety of different forklift brands such as Hyster, Nissan, Toyota, Yale and many others. Intella carries the most popular pressure regulator, the Impco Model J, along with a few other models, accessories and kits. So your regulator is on it’s way to the forklift graveyard? Have no fear. 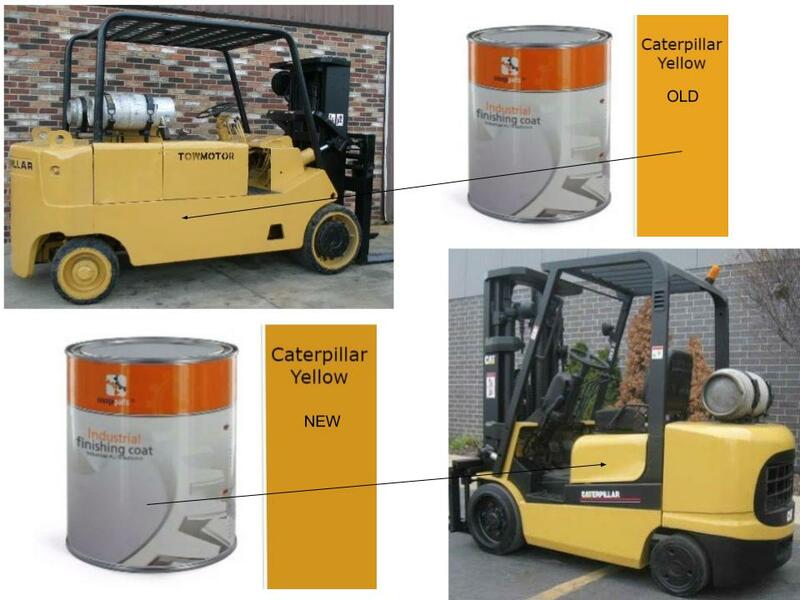 Here at Intella we have a couple different models so you can find the perfect replacement to get your forklift running smooth again. The Impco Model J regulator/vaporizer delivers reliable performance and pressure output consistency. It’s reliability, especially with questionable fuel quality, has made it an industry standard for many years. Two vapor outlet pressures are available. The standard Impco Model JB (this version, meaning blue spring) provides -1.5″wc (0.37 kPa). The optional JO (J-orange) provides 0.5″ wc (0.12 wPa). The port size and mounting pad locations are identical to the Impco Cobra regulator and include a primary pressure test port and “left” or “right” fuel outlets. The generic model JB regulator and the Impco Model J are similar in build, although a noticeable difference would be the primer button found on the generic model JB. Impco no longer manufactures Model J’s with a primer button but the generic model JB does have one. The primer button can allow for a shot of propane into the engine for starting purposes. The “B” stands for blue spring. This is by far the most common model J regulator. The blue spring offers negative 0.37 kPa (1.5 inches w.c.). The Impco Model JB diaphragm is made of hydrin and is suitable for most applications. Don’t think you need a brand new regulator? Save some money and pick up a rebuild kit. 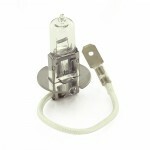 You can repair and rebuild Model J Regulators using kits made of hydrin or silicone. You can rebuild a Model J regulator as many times as you can get your paws on a rebuild kit. Oh and you’re in luck because here at Intella, we regularly stock a few different kits. What’s the difference between hydrin and silicone you ask? Well to start off, silicone performs better in colder climates than hydrin. This is due to the fact that the silicone diaphragm stays noticeably more flexible in colder weather. The physical makeup of silicone is actually lighter than hydrin too, making a little bit more responsive. Lastly and very advantageous, is that silicone has a better resistance to being damaged from fuel. 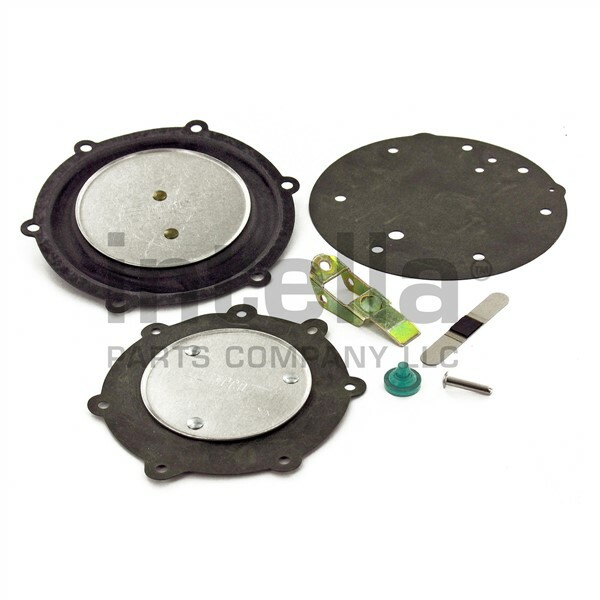 Most common Impco regulator repair kit, mostly used on forklift propane fuel systems. 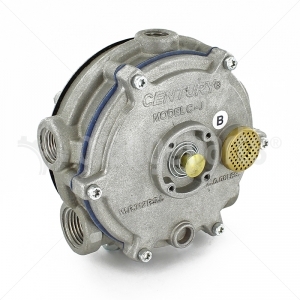 Repair kit for the popular Model J forklift LPG regulator. Includes hydrin diaphragm, secondary seats, gaskets and primary diaphragm. Exactly what you need to rebuild an Impco Model J regulator. If you need parts, Intella can help. We have thousands of parts available at great prices and would be happy to help you find what you’re looking for. Click here for more information! Also you can check out Intella’s YouTube channel for how-to videos and product demos. 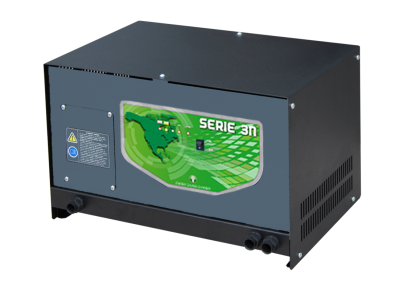 Note: Click here to find forklift battery chargers for sale. 1. 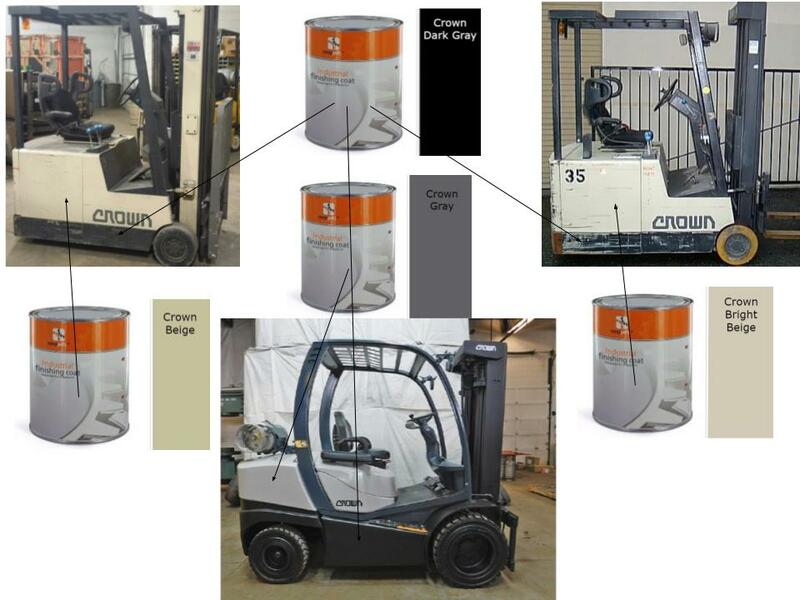 The ampere hour rating should be within 10% of the forklift battery that is being charged. To be sure, find the model number of the forklift battery. This will help determine the ampere rating. The battery model number is comprised of three things: Cells, amps per cell, and plates, listed in that order. To come up with the total amps you first subtract 1 from the number of plates (the 3rd number in the batteries model number) and divide that by 2. Then, multiply that by the amp per cell, or the 2nd number in the battery model number. This is the ampere hour rating. In other words, (P – 1)/2 * A = ampere hour rating. 2. Inspect the battery charger cables before connecting the forklift battery. 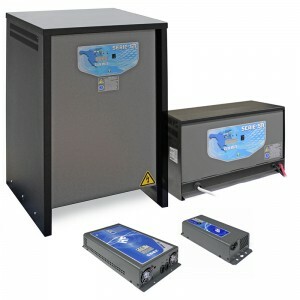 Ensure the battery charger cables do not show any heat damage or damage of any other kind. Heat damage on cables can be an indication of a mismatched charger or that the forklift battery is not performing as it should. In addition, if you see that the cables are frayed, it is very important to have them repaired. 3. Ensure the charger is the correct size for the battery you are trying to charge. This is pretty easy to remember. For example, a 24 volt pallet truck charger is made to charge a 24 volt battery. If you are unsure of the voltage of your forklift battery, count the cells or the squares on the top of the battery and multiply that number by 2. If you have multiple chargers of different voltages, use different connectors for each voltage of charger so that you can easily pick the correct charger in a hurry. In general, a red connector is used for 24 volts, a grey one is used for 36 volts, and a blue one is used for 48 volts. 4. Never charge your forklift battery if it’s too hot or cold. 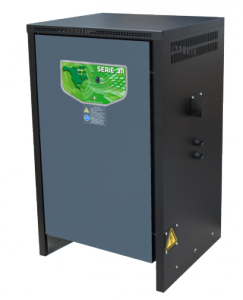 If your forklift battery is too hot to touch, you should wait until it cools to hook it up to a battery charger. Use the same rule of thumb if the battery seems too cold, waiting until it warms up to room temperature before you charge it. 5. Water your forklift battery on a regular basis. Make sure to use distilled water to cover the plates in the cells. The plates inside the cells should be fully submerged. If they are not, the cells will quickly lose their ability to hold a charge. 6. Keep a log every time you water your battery. This way, if you ever have to make a claim while your battery is still under warranty, you will have the log to support that you took proper care of the forklift battery. 7. Don’t water your forklift battery before charging it. Never water the battery before you charge it. If you overfill the battery, it can spill sulfuric acid during the charging process. Always fill your battery after it has been charged. 8. Allow the forklift battery to charge fully. Make sure your battery undergoes regular full charging. Partial charges will only reduce the standard capacity of your battery. 9. Charge the battery in a well ventilated area. 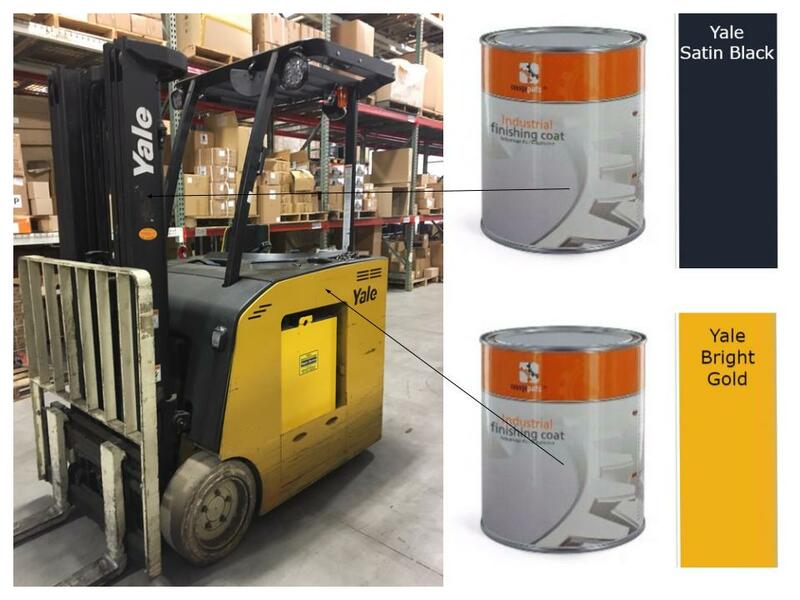 Charging a forklift battery can produce hydrogen and oxygen gas, and you do not want this mixture to become concentrated in a poorly ventilated room. Such a mixture is an extreme explosive hazard that must be avoided. 10. Charge your forklift battery after each shift. Never store your forklift battery on a low charge. This could cause the battery to sulfate. 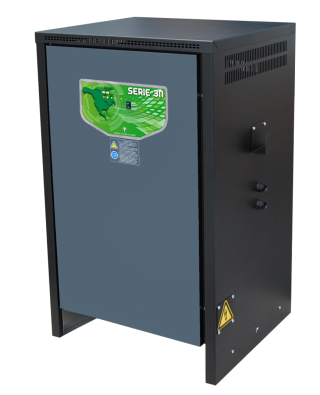 If charged and watered correctly, a forklift battery should last you for many years. Are you using an older style Hobart battery charger? You might consider an upgrade with the newer chargers available from Intella. My electric forklift doesn’t run! Could it be a forklift fuse? Often this is the case. Let’s look at how to check your forklift fuses. Disconnect battery from forklift and discharge capacitor. Remove covers to gain access to fuse panel. Control fuses are sometimes found under the dash. These will be Glass tube or blade type fuses. Most electric forklift fuses are found in the area of the contactor or control panel. You will also find larger power fuses (35 to 500 amps). Below is a picture of fuses in a standup Yale ESC40-FA forklift. You’ll see the fuses this truck uses are ANN80 fuses. 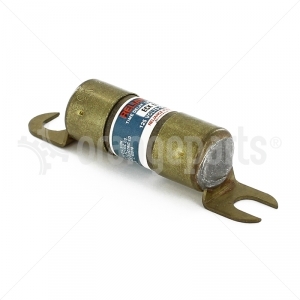 Here are photos of other types of forklift fuses you may encounter on electric forklifts. 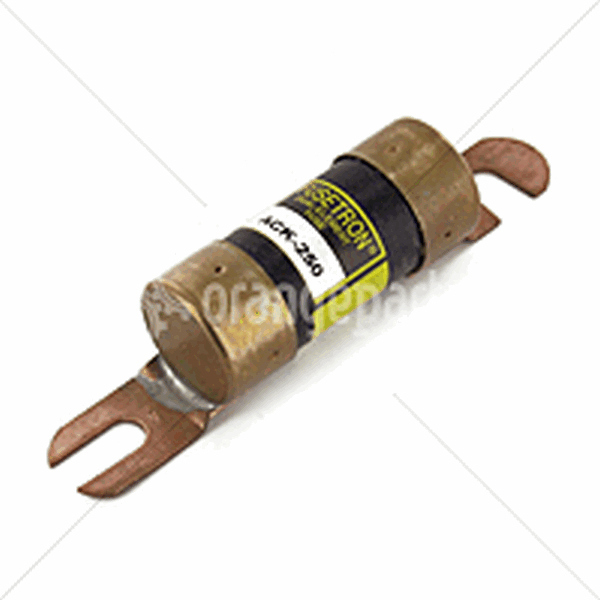 Visually inspect forklift fuses looking for signs of heat (melted or discolored connections). If you have the glass fuses or fuses with a window you may be able to see an open or damaged fuse. If you have access to a multi-meter (VOM), there are multiple methods to test your forklift fuses. You can test using continuity mode or resistance mode. You must remove fuse from circuit in order to properly test using this method. You are looking for no resistance. In rare cases a fuse may pass the visual test and continuity test but may still be the faulty. Forklift fuses can sometimes have enough capacity to show continuity but will not carry current loads. The best method to test a fuse if you suspect this to be the case is to check for voltage. This can be dangerous if proper care is not taken. 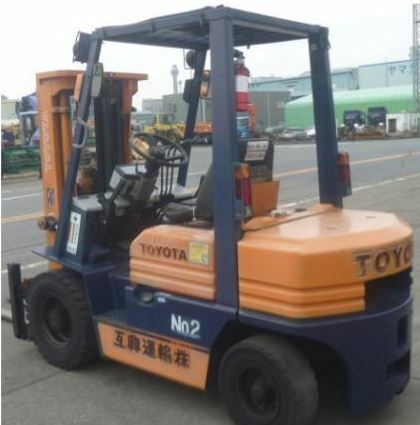 Be sure to block forklift so that it cannot move if drive circuit is energized unexpectedly. You must first plug in the battery. Always use care when working with live circuits. Locate the common negative terminal. Easily found by following the negative cable from the battery connector the first connection point on the forklift. Keep in mind that electric forklifts are not chassis grounded. Connect your negative lead from your VOM to this terminal. Now probe your fuses on both the supply side and the load side. You should get a reading that closely matches the voltage of your forklift battery at both points. For some control fuses you may need to turn the key on, sit on seat and release park brake in order to energize the circuit prior to testing. If you get the proper voltage reading on both sides of the fuse, the fuse is probably not the cause of the problem. If you want to test the fuse even further you can test it under load. Be careful this can be dangerous if not done properly. If you do not feel comfortable please do not proceed. Fuses are inexpensive. Replace the fuse if you still suspect it is causing problem. If you work carefully, perform proper blocking methods, and be sure to have a clear working area you can energize the circuit and check voltage on load side of fuse. 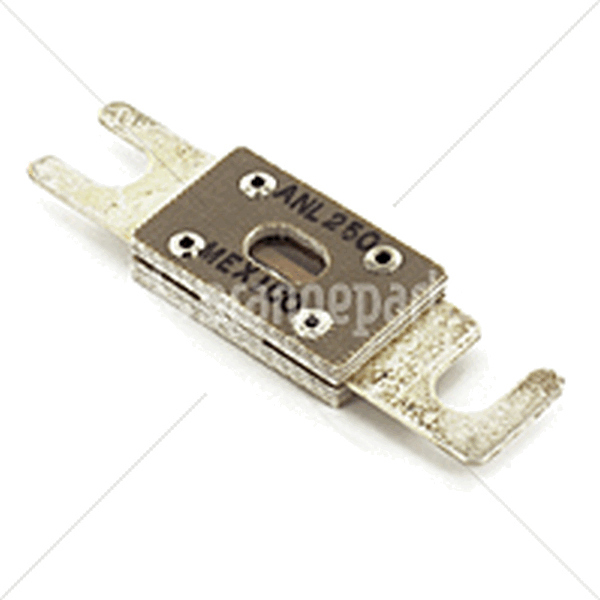 If voltage goes away when circuit is loaded, replace fuse. Always replace fuses with the proper type, value and size. Improper fuses can cause extensive damage to other forklift components. Once all connections are made replace covers and reconnect battery. Test operation. Congratulations! You have successfully repaired your forklift. Learn more about forklift seat belt safety. Do forklift operators have to wear seat belts? Do forklifts even have to have seat belts? These are questions that all forklift owners have likely asked at some point. With forklifts being used in so many different situations and circumstances, safety laws are very important. Here’s a simple question-and-answer about the basics of forklift seat belt use. Q: Do forklifts have to have seat belts included when they are manufactured? A: Essentially, yes. Every truck manufactured after 1992 must include some form of restraining system with the purpose of protecting the operator from falling out of the truck if the truck tips over. A seat belt is one of the cheapest and most effective methods of doing this, so it is the most commonly used restraint system. Q: What about forklifts manufactured before 1992? Must they be retrofitted with seat belts? A: Pretty much, yes. By OSHA standards, an employer is required to protect his or her employees from all workplace hazards, and powered industrial trucks like forklifts are widely recognized as workplace hazards. Thus, if an employer has been made aware of this risk and is capable of retrofitting a seat belt (or other restraining system) to his or her truck, it’s essentially a case of negligence if he or she does not do so. OSHA can write up an employer for this. Q: If the forklift has a seat belt attached, must the operator wear it? A: Yes. If there is any form of restraining system on the truck (as there should be, post-1992), it must be used while the forklift is in use. This includes seat belts, regardless of how often the operator has to get on and off the forklift. Q: Who is at fault if an operator doesn’t use a seat belt? A: It depends. There have been cases of both an employer and an employee being at fault. In the past, employees have gotten fired for ignoring seat belts while operating forklifts. However, employers have also gotten fined for not providing working restraining systems (an obvious offense) or not properly training employees on safety standards. In short, it benefits both employer and employee if everyone makes an effort to stay safe. Q: What if an operator doesn’t fit in the standard forklift seat belt? A: Don’t worry. Intella offers seat belt extensions for precisely this reason. Click here for more information. Need Hyster forklift seats? We’ve got you covered! There are a lot of ways to classify, categorize, and distinguish different products in any given industry. This is especially true in the forklift industry, where parts are manufactured worldwide for many different brands of forklifts. Abbreviations are often used to qualify these parts for certain uses, but so many shorthand phrases can get confusing. We’re here to help. 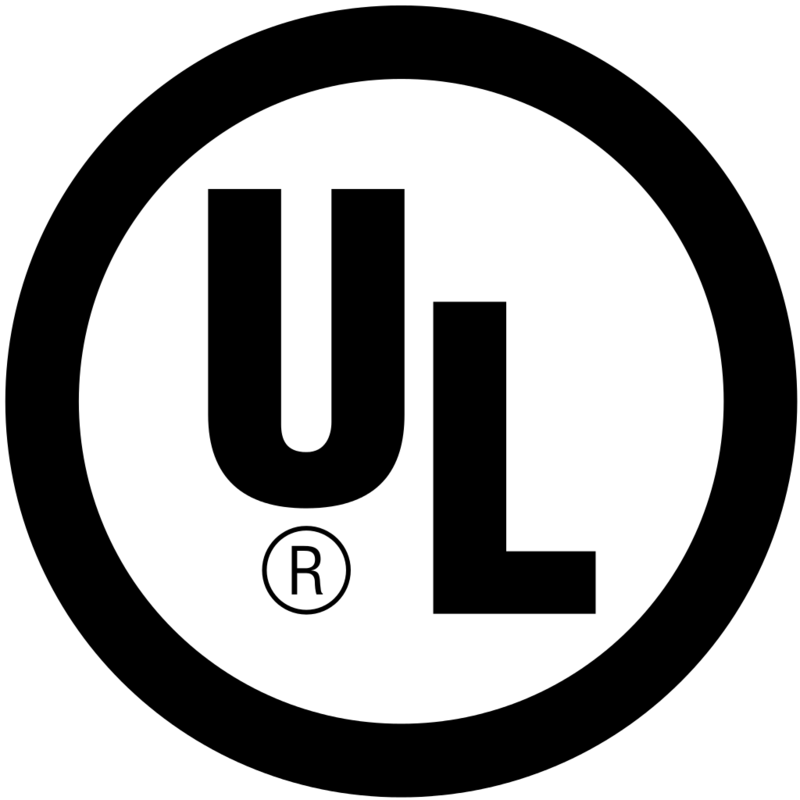 A: If a product is UL-listed, it means that it meets the safety standards of Underwriters Laboratories, which are defined primarily by UL itself. 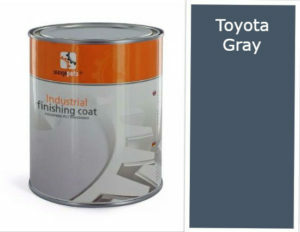 It is commonly used on computers, home appliances, various detectors, fire extinguishers, and more. It is a very versatile mark, but it is also very highly respected. 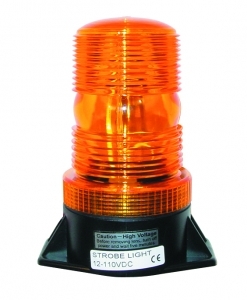 In fact, our BlueSpot® forklift safety light is UL-listed. Q: What does ETL mean? A: The ETL mark means that a product has satisfied North American safety standards from Electrical Testing Laboratories. It is a mark similar to the UL mark, and it is recognized across North America. In fact, UL and ETL are two competing organizations with the same purpose. Admittedly, this can get confusing. Some customers may be looking for a UL-listed product and be surprised to see that we offer a product that is ETL-listed. Don’t be alarmed, though, there is no difference in quality between the two listings. ETL-listed products and UL-listed products both pass the same safety standards. 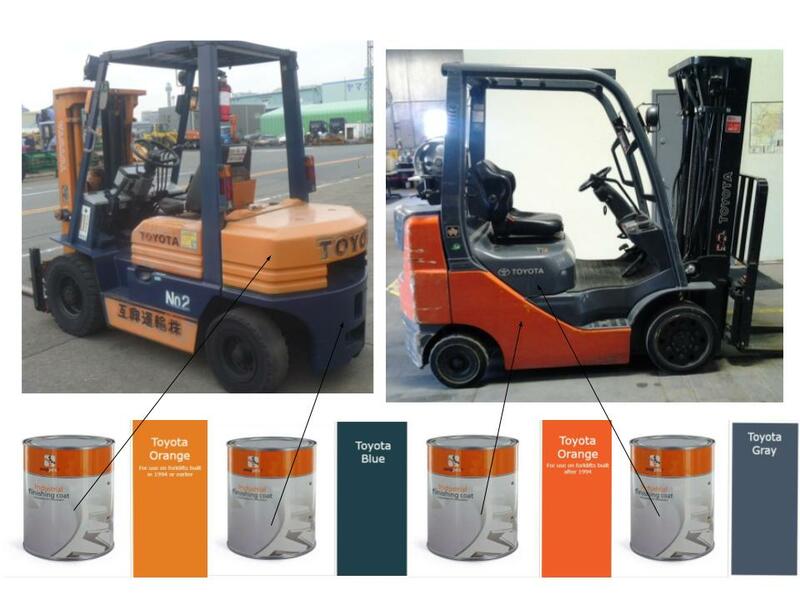 For example, our strobe lights are ETL-listed, while our blue forklift lights are UL-listed. For more information about the ETL mark, click here. Q: What does CSA mean? A: The Canadian Standards Association is a nonprofit that is similar in function to UL and ETL. It focuses on public health and safety in its qualification of products that receive the CSA mark. Though it is based in Canada, the CSA is also familiar with U.S. health and safety requirements, and it is often recognized in the same way a UL or ETL listing is. It is used in many different industries, from electrical engineering to electromagnetic manufacturing. Q: What does CE mean? A: A product marked with CE has been certified by the European Commission and can be circulated within the markets of the European Union. The EU has its own standards of health, safety, and environmental impact that a product must satisfy before earning the mark. 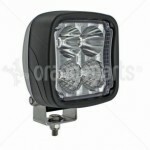 There’s no question: LED forklift lights are superior to any other type of forklift light. To understand why, let’s first look at some examples of other available lights. • sealed beams: A sealed beam light consists of three key components: a parabolic reflector, one or more lighting filaments, and a glass or plastic lens. It is called a sealed beam because these components are all permanently attached (sealed) together. While these lights are cheap and readily available, they have relatively short lives (about 300 hours), are easily broken during shipping, and are relatively dim (typically about 500 lumen). Perhaps not the best choice. 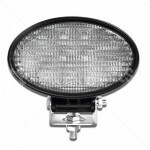 • halogen lamp: A halogen lamp is essentially a special version of a sealed beam. Inside, it contains a halogen gas (usually iodine or bromine) that reacts with the filament to increase the life of the filament and keep it from decomposing and clouding the lens. These bulbs are bright, compact, and easy to install, but they still have relatively short lives and can be damaged by seemingly harmless things like oil from a fingerprint. They must be handled with care. LEDs are bright. They can put out more than 1,000 lumens, which is double the competition (think of the puny sealed beams). For their brightness, LED bulbs are extremely compact and very efficient. LEDs last a long time. They typically have lifespans of over 10,000 hours, which you may realize is more than an entire year of constant output. This is compared to the 300-hour life of a sealed beam (only 3% of the lifespan of an LED). 300 hours won’t get you even two weeks of light. These forklift lights are getting cheaper. 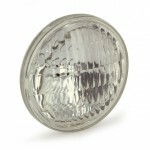 Yes, they’re currently more expensive than both the sealed beam and the halogen lamp, but because of their many other advantages, they are becoming more popular. Competition in the market drives down prices and increases quality, and that’s good for you, the consumer. Poor halogen doesn’t stand a chance. Still not convinced? Click here to watch our video comparing forklift sealed beams and LEDs. Available in other colors too!